Longtime Trump confidant Roger Stone hopes to call WikiLeaks founder Julian Assange as a witness in his trial, a source familiar with Stone’s legal strategy told The Daily Caller News Foundation. By showing that he had no contact with Assange, Stone hopes to show a jury that his alleged false statements were immaterial, TheDCNF’s source said. Stone is scheduled to go to trial on Nov. 5. The prospect of Assange’s testimony increased dramatically on Thursday after the WikiLeaks founder was indicted in the U.S. on charges that he conspired with Chelsea Manning to hack into classified Pentagon computer systems. 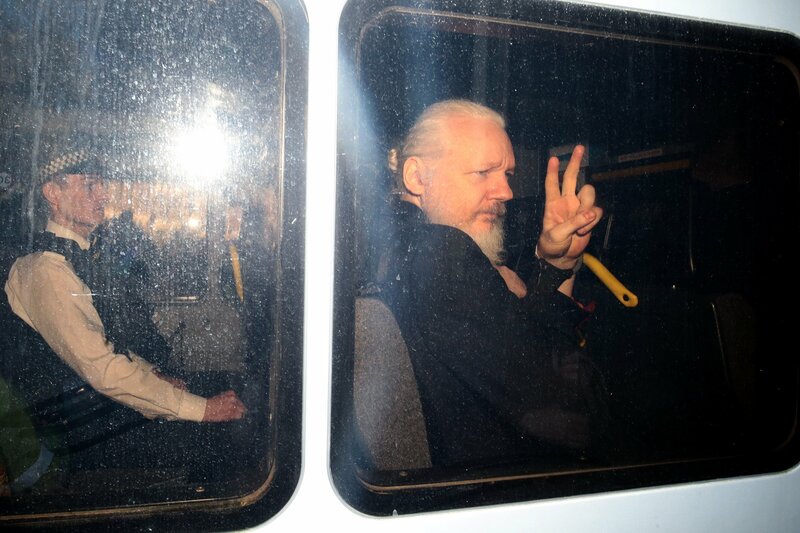 The Justice Department plans to request extradition of Assange, who was arrested at the Ecuadorian Embassy in London on Thursday. That process could take months, and it is not clear whether Assange would be in U.S. custody before Stone’s trial starts. Even then, a judge would likely have to approve Assange’s appearance. Politico first reported Stone’s wish to have Assange testify. Stone’s lawyer, Grant Smith, did not respond to a request for comment. Stone was placed under a gag order by the judge handling his case. Special counsel Robert Mueller’s team investigated whether Stone had advance knowledge of WikiLeaks’ plans to release emails stolen from Clinton campaign chairman John Podesta. Stone was a focus of the investigation because of his claims in interviews in August 2016 that he was in communication with Assange. Sam Nunberg, a former Stone protege, has said that Stone told him in early August 2016 that he planned to have dinner with Assange. Stone sent emails in July 2016 to an associate, Jerome Corsi, suggesting that contact be made with Assange. Stone contacted Corsi after another associate passed along gossip that Assange might have Clinton Foundation emails. Stone’s tweets in the run-up to the election have also led to allegations that he knew that WikiLeaks had Podesta’s emails before they were published on Oct. 7, 2016. Stone’s Aug. 21, 2016 tweet that “it will soon [be] the Podesta’s time in the barrel” has attracted the most attention. Stone says that he knew from Assange’s statements that WikiLeaks would release information damaging to the Clinton campaign. But he has insisted he did not know specifics about when and what would be released.